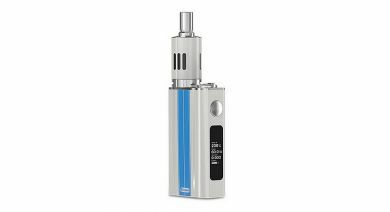 The Joyetech eVic-VT Starter Kit is a cutting-edge box mod set up accompanied by the well-known eGo ONE Mega clearomizer. The eVic-VT features both variable wattage and variable temperature control, allowing for greatly improved flavor, prolonged battery life and a considerable decrease in e-liquid consumption all at an affordable price. The eVic-VT is one of the most versatile mods on the market today coming equipped with variable temperature settings for both titanium and nickel wire while at the same time accommodating kanthal wire builds with a varaible wattage setting. 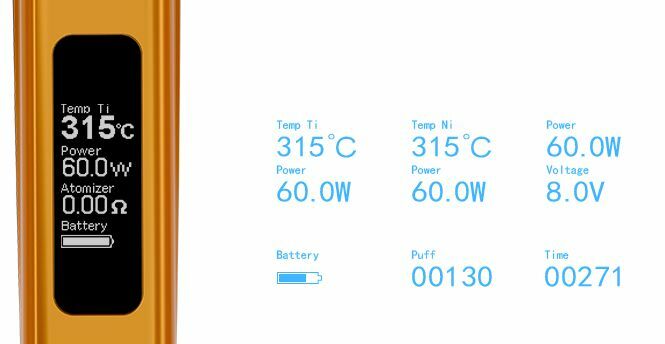 In temperature control mode this mod can fire atomizers with a resistance level of 0.05Ω-1.0Ω with a temp range of 200°F-600°F (100°C-315°C). Variable temperature control mode gradually decreases the output level of the mod as the max temp is reached allowing the device to maintain that temperature. With each different temperature level set comes a new flavor experience allowing you to find a certain "sweet spot" with each e-liquid used. Not only does this enhance flavor, the decreased power output will in turn preserve battery life giving you a much more satisfying vape experience. The eVic-VT is one of the first temperature regulated mods to support titanium wire builds, this material is utilized because of its durability and resistance to corrosion, giving you a much longer lasting atomizer. 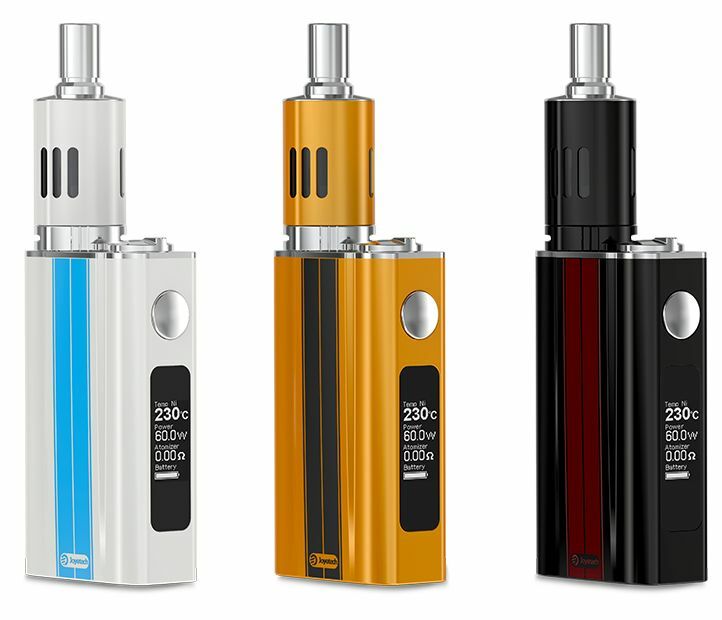 In variable wattage mode the eVic-VT boasts a huge output range of 1W-60W that can be adjusted in 0.1W increments using the control knob on the top of the device. 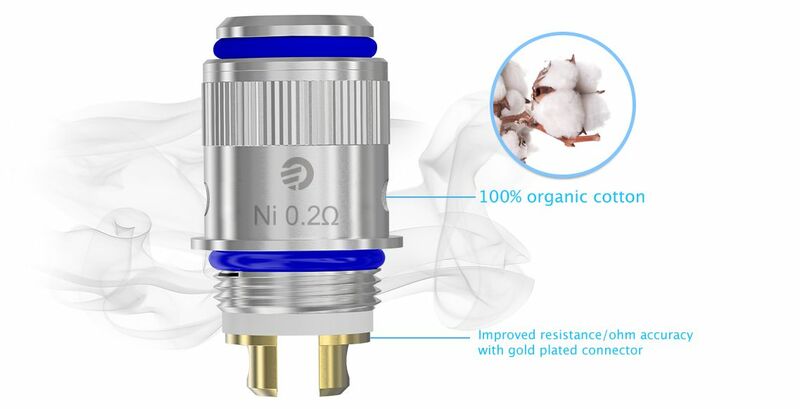 This supports atomizers with a resistance of 0.15Ω-3.5Ω, perfect for sub-ohm and standard tanks alike. 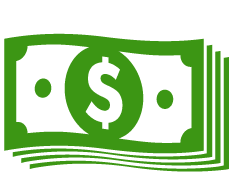 This will you many options when it comes to choosing a tank to pair it with rather than limiting you to the one that comes included in the box. 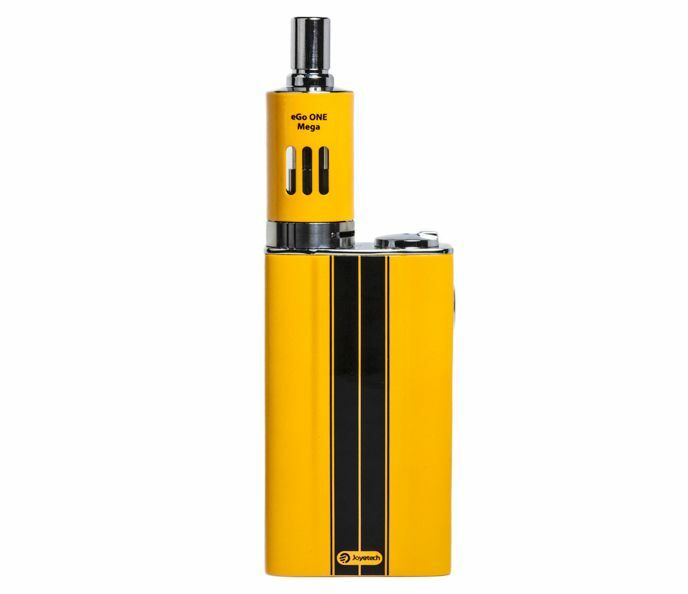 The eVic-VT is constructed from an extremely durable solid piece of metal finished off with one of three very stylish race-car themed color schemes. One of the most eye-catching features of this mod is it's remarkably large OLED display. 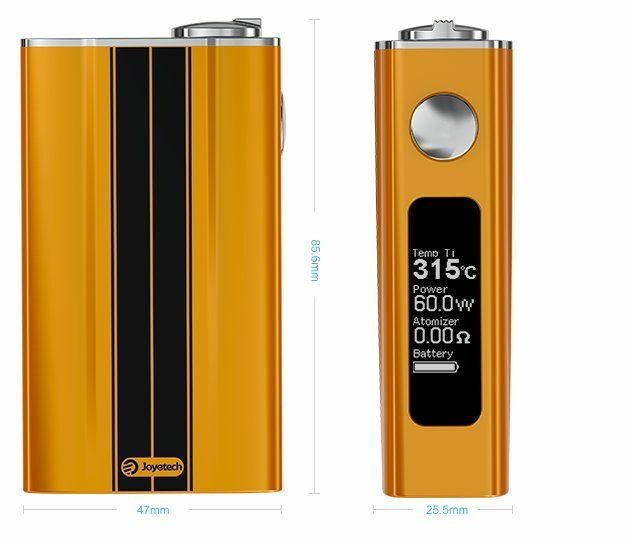 This screen is completely customizable coming with a number features to display including battery life, atomizer resistance, power output and many more. This is all powered by an embedded battery with a massive capacity of 5000mAh, under normal use this should be enough to last the average vaper 1-2 days. Add in the VT capability and this battery will keep you chasing tasty clouds for days on end. Included in the box is the new and improved temperature controlled eGo ONE Mega VT clearomizer. 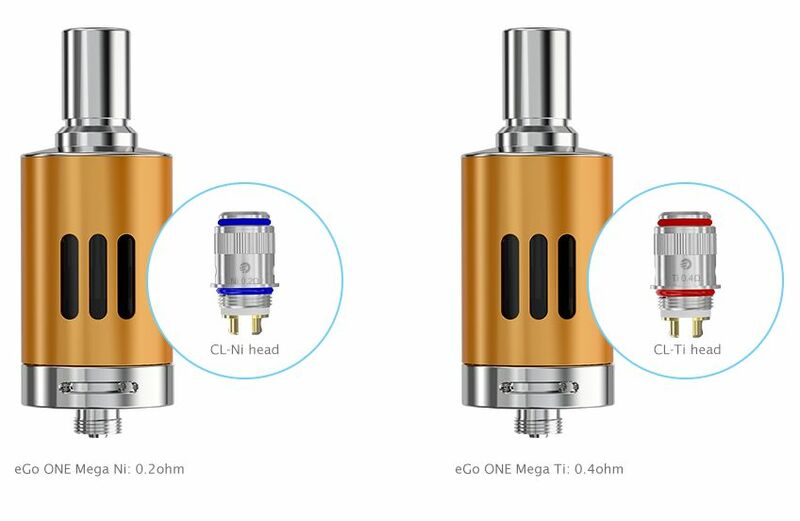 This tank will come stock equipped with a CL-NI 0.2Ω atomizer (blue) and then in the box you will find the CL-TI 0.4Ω atomizer (red). Both of these atomizers come dressed with an organic cotton coil for a pure and overall strong flavor. The tank itself is constructed from a pyrex glass, covered by a high-grade stainless steel with nine oval shaped holes to see exactly when you need to refill next. The eGo ONE Mega VT also comes with an airflow control ring allowing you to fine-tune your draw to fit your preference. The eVic-VT is not just another box mod, it is the start of a new evolution. Treat yourself to one today and be one of the first to step into the future of variable temperature controlled vaping! Note: For Kanthal wire with resistance range 0.25-1.0 ohm, the maximum output wattage on screen is 60W. For Kanthal Wire with resistance range 0.15-0.24 ohm, the actual maximum output wattage will be limited to be 50-55W to ensure safer operation.